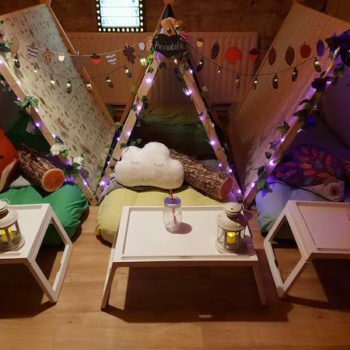 Blog » Looking for a party that is a little different for your child this year? 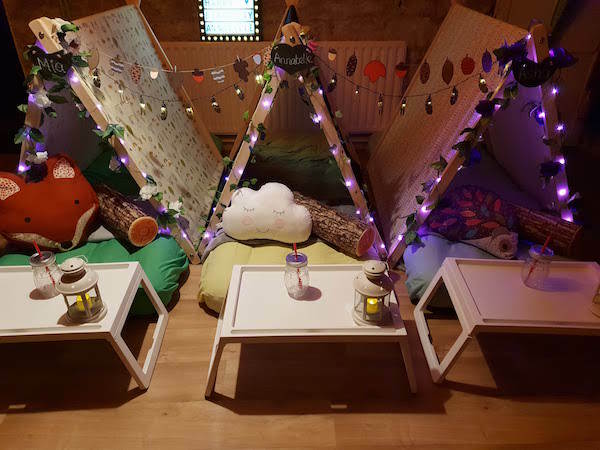 Looking for a party that is a little different for your child this year? 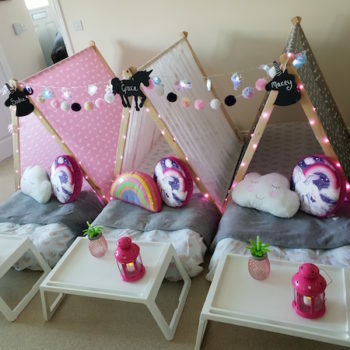 Wish Upon a Sleepover™ is a family business based in Horsforth, Leeds. 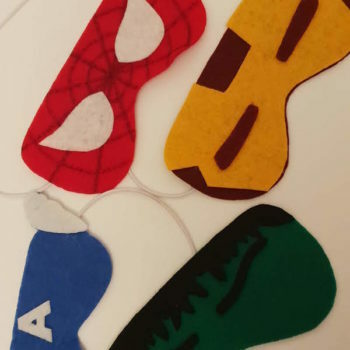 We (my 3 children and I) love creating new themes and would be happy to create a bespoke sleepover for you! 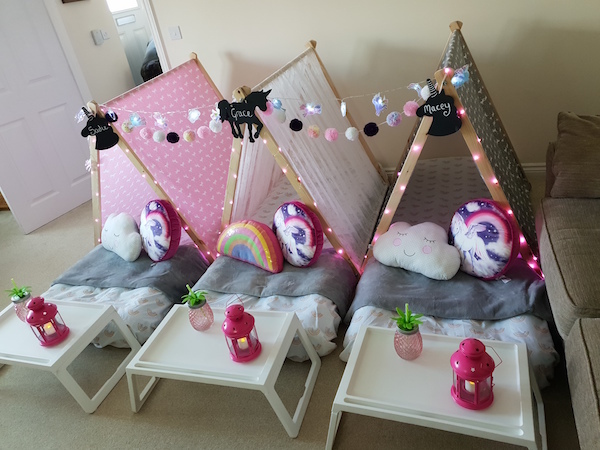 The sleepover parties are recommended for children 6+. We come and set up the sleepover for you and pack it all away the following day. You need approximately 1m by 2m of space per tent. The safety of your child and their friends is so important. Our tent frames were made by a fabulous UK manufacturer of children’s play tents. The tents have TE toy certification and comply with Toy Safety Regulations 2011 and EU Harmonisation Standards for Toys 2009. We complete a risk assessment on the day of the party to help identify any potential hazards in the sleepover room. All fairy lights are battery operated. Prices start at a minimum of £60 (for 2 children) and then each additional child is £25. Discount available for families local to Horsforth. Mileage charged for families >5 miles away. 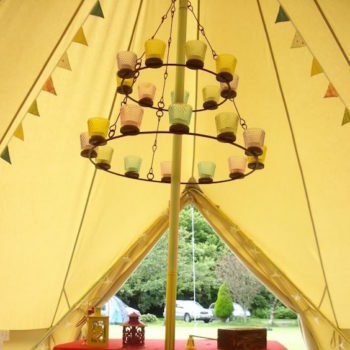 You can also hire a bell tent for your garden – great for teen sleepovers in the summer. Please contact us for costs.